Congratulations to the CMAC U19 athletes selected for and currently alternates(*) for the WR Championships! 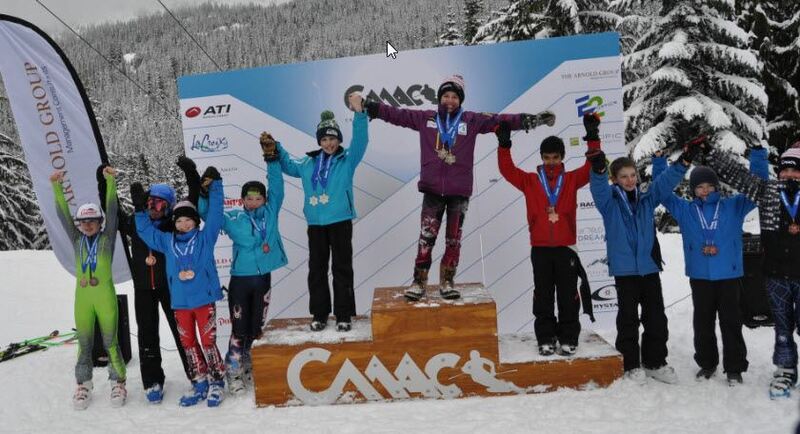 Congratulations to the U14 CMAC athletes selected for the WR Championship Team in Jackson Hole, WY! 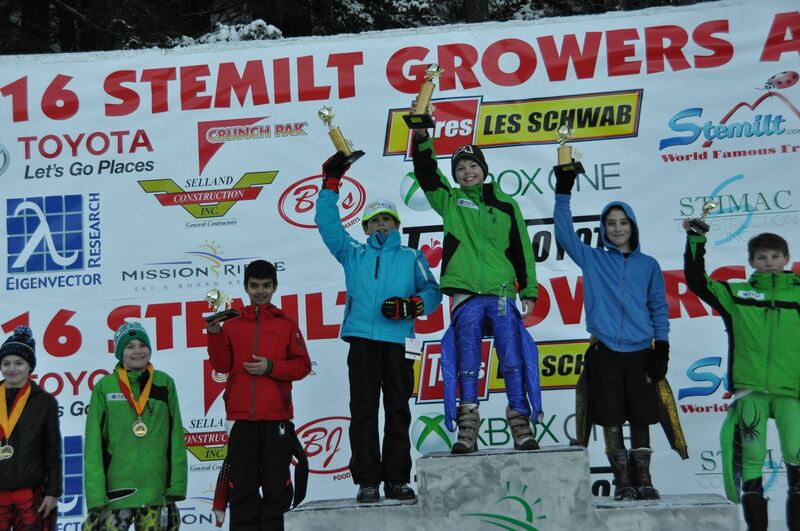 February 20-21 saw a fantastic weekend of racing for the Mighty-Mites at Stevens Pass for the annual WildKatz event. Weather was great and the race venue challenging. CMAC racers enjoyed excellent results with coaching from Tom, Tad and Ryan. On Saturday in the Giant Slalom for the Ladies, in the U10s, Quinn Dennehy grabbed 4th, Paisley Bigatel 9th, and Ellie Trulson 10th. In the U12s, Aleah Watterson was 8th. In the U14, Claire Walters scored 2nd, and second overall for the day. 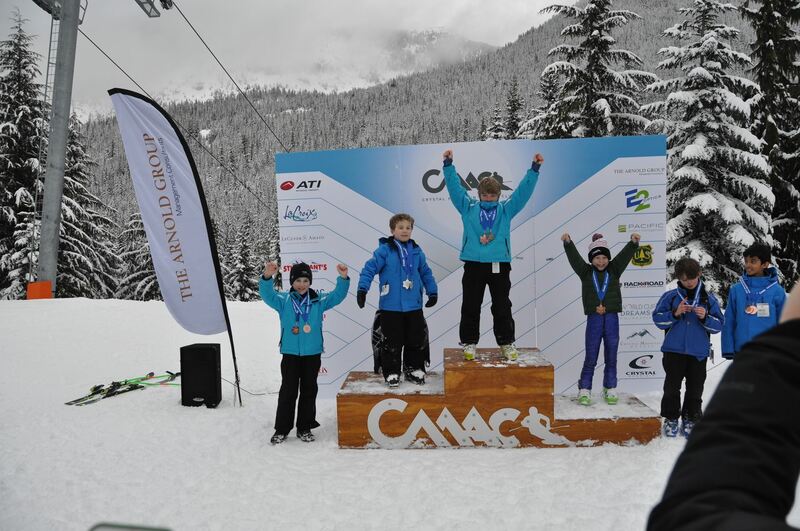 For the Mens Giant Slalom in the U8 class CMAC crowded the podium with Gabriel Caccia in second and Gavin Trachte 3rd. In the U10 group, Sawyer Krohn took 2nd. For the U14s, Ethan Golik was 8th. CMAC really showed its strength and depth in the U12s with 6 racers in the top 10. Ollie Loeser won the race, Ben Albrecht was 3rd, Tristan Krohn 5th, Tanner Stines 6th, Gunnar Trachte 9th, and Andrew Minor 10th. A photo of the mostly CMAC awards ceremony is below. 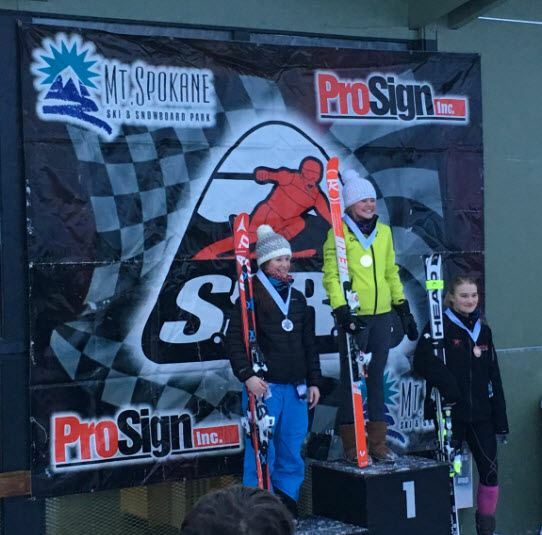 In Sunday’s Slalom for the Ladies, Claire Walters took the top step, winning the U14 class (2nd overall). Aleah Watterson was 9th in the U12s and Quinn Dennehy scored 4th in the U10s. 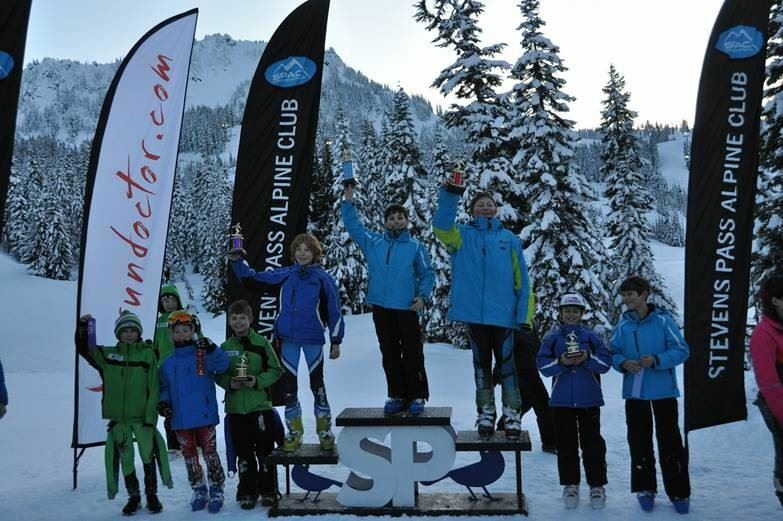 In the Sunday Mens Slalom, for the U8s, Gabriel Caccia scored 3rd and Gavin Trachte 8th. For the U10s, Sawyer Krohn was 3rd and Carter Headstrom 6th. For the U14s, Ethan Golik was 6th and Quintin Ballweber 7th. The CMAC U12s continued their success from Saturday with Ollie Loeser in 2nd, Ahad Ather in 4th, Gunnar Trachte in 8th and Ben Albrecht 10th. Next stop for the Mighty-Mites is Bantum Cup at White Pass where our CMAC athletes will compete in two GS races as their final tune-up before the U12 Championships at Mission Ridge. U16's rock at the qualifiers! Or as Simon might say we were really "chill". Most scored some points toward Junior Champs qualifications and we also had some nice performances from our rookies. We did get quite entertained by Connor Budd, and Justin Sanders and their spectacular head over heels crashes in the first GS. At first it appeared that they were down for the count, but both got up, shook it off and laid down some incredible fearless runs the next two days. Connor, was only .8 out from the winner on the final run. Our girls performed excellent as well, so many results and strong performances, you'll have to check the results to see the super strong CMAC performance. The full race report is here. On January 30-31, the Mighty Mites came back home to crystal for their second home race of the season, the Mighty Mite GS. Though a bit on the chilly side, the weather was outstanding for racing and the courses were fast and fun. The ladies on Saturday were consistent as could be. For both runs the top 5, and thus final results were the same. Annaliese Frohlich took first, Abby Headstrom second, Quinn Dennehy third (1st for U10) with Poppy Honeybone fourth (3rd U12) and Lucy Kettrick fifth (2nd for U10). The U10 podium had Quinn first, Lucy second, Paisley Bigatel third, Francis Atchison fourth and Josie White fifth. There were no U8 finishers. Complete results are here. For the men, there was a tight battle at the top, with Karsten Farris and Ollie Loeser trading 1st and 2nd on the two runs. Karsten took the top spot for the day, with Ollie second and Charlie Orford third. Ahad Ather was the 4th U12, with Winn Flaggert in fifth. For the U10s, Sawyer Krohn was first (5th overall), with Carter Headstrom second, and Win Chandler Third. Wyatt Loeser was fourth and Deeson Patterson fifth. Evan Jakubek won the U8s, with Gabriel Caccia second and Gavin Trachte third. Complete results are here. On Sunday, Annaliese Frohlich again took first, and Abby Headstrom again second. Eva Schoening was third, Poppy Honeybone fourth and Payton Abel fifth to round out the U12s. For U10s, Lucy Kettrick was first, Quinn Dennehy second and Paisley Bigatel third. Josie White took fourth and Ellie Trulson fifth. Complete results are here. For the men on Sunday, it was deja vu all over again. Karsten Farris and Ollie Loeser again traded 1st and 2nd on the two runs and Karsten took the top spot for the day, with Ollie second. Ahad Ather was third, Charlie Orford fourth and Tristan Krohn fifth. For the U10s, Win Chandler was first, with Carter Headstrom second, and Anderson Farris third. Wyatt Loeser was fourth and Jack Lewison fifth. the U8 podium went unchanged, with Evan Jakubek first, Gabriel Caccia second and Gavin Trachte third. Complete results are here. Anni Frolich and Karsten Farris were the combined winners for the weekend. On January 23-24 a dozen CMAC MM boys made the trek over to Mission Ridge for the Apple Cup to get a feel for the U12 Championship venue coming in March. Conditions were outstanding and a great time was had by all. On Saturday, top CMAC finishers included Ollie Loeser in 5th, Gunnar Trachte 13th, Ben Albrecht 17th and Tanner Stines in 20th. On Sunday, the CMAC crew dialed it up! Ollie Loeser was 2nd, Ahad Ather 4th, Winn Flaggert 8th, Gunnar Trachte 11th, and Tanner Stines 15th. The Webb Moffett turned out to be a fantastic race for CMAC with racers placing at the top of their categories both days! Sarah Hampson got 2nd in her category, 5th in the race! U14s Anna Gibbons (2nd in her category 8th in the race) and Kate Jendrezak (3rd in her category, 9th in the race). Evie Wright placed 2nd in her category, with a 6th place overall second run! Ruby Stamnes won in her category with Lilia Artimenia coming in 3rd. Max Schoening 2nd in his category and 7th in the race. U14s Georgie Honeybone 1st in his category, 11th in the race. Graham Barwick with a 3rd place in his category. U14s Anna Gibbons 2nd for her category and 6th in the race. Evie Wright got 2nd in her category 9th overall. Claire Walters took 1st in her category. What a great weekend of slalom racing! We led off with the U8 girls, and Danique Weisbeek was the only competitor in her class and was therefore won (and had times that were very competitive with the older girls!) For the U10s, Paisley Bigatel came in first, followed by Haven Bigatel and Ellie Trulson rounding out the top 3. The U12 girls had the largest field and it was led by Annaliese Frohlich, Aleah Watterson and Elise Walters. Finally, the U14 girls we led by Madison Wilson, Lauren Moulding, and Lulu Schopf. For the boys, the three U8 finishers were led by Evan Jaubek, Gabriel Caccia and Gavin Trachete. For the U10s, Sawyer Krohn was on fire not only winning the U10s but second over all age boys and 0.11s out of first place. U10 second and third places were won by Anderson Farris and Win Chandler. The U12s were led by Oliver Loeser, Ahad Ather and Winthrop Flaggert, and the U14s by Mason Miller, Marshall Miller and Quintin Ballweber. On Sunday, we again had Danique Weisbeek as the sole U8 competitor and winner. The U10 girls were led by Lucy Kettrick, Paisley Bigatel and Samantha Wright, the U12s by Abbey Headstrom, Aleah Watterson and Elisa Walters, and the U14s by Madison Wilson, Stellar Bigatel and Carmen Sharpe. The U8 boys finished in the same order as Saturday: Evan Jaubek, Gabriel Caccia and Gavin Trachete. The U10 boys were led by Anderson Farris, Win Chandler and Deeson Patterson. For the U12 boys, Karsten Farris won both his age group and the overall followed by Oliver Loeser and Peter Schoening. 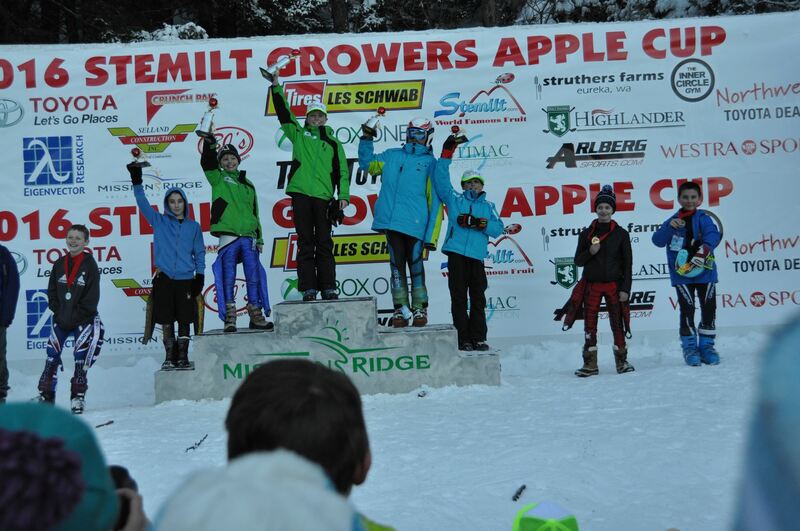 The only U14 boy to finish both runs was Marshall Miller. U16's rock at the qualifiers! Or as Simon might say we were really "chill" . All of the kids seemed to really enjoy the races, the friends, the weather and competition. We had numerous scores in the fog, ruts, sunshine, you name it, we had all the weather. The race conditions were actually pretty good, and everyone stepped up and gave their best. Most scored some points toward Junior Champs qualifications and we also had some nice performances from our rookies. We did get quite entertained by Connor Budd, and Justin Sanders and their spectacular head over heels crashes in the first GS. (Check Sprongo) At first it appeared that they were down for the count, but both got up, shook it off and laid down some incredible fearless runs the next two days. Connor, was only .8 out from the winner on the final run. Our girls performed excellent as well, so many results and strong performances, you'll have to check the results to see the super strong CMAC performance. You can see the results here (and on Live Timing at http://live-timing.com/race2.php?r=154774 and http://live-timing.com/race2.php?r=154772). We will be bringing a huge team to Mammoth for junior champs this year. Back to training so the fun can continue! 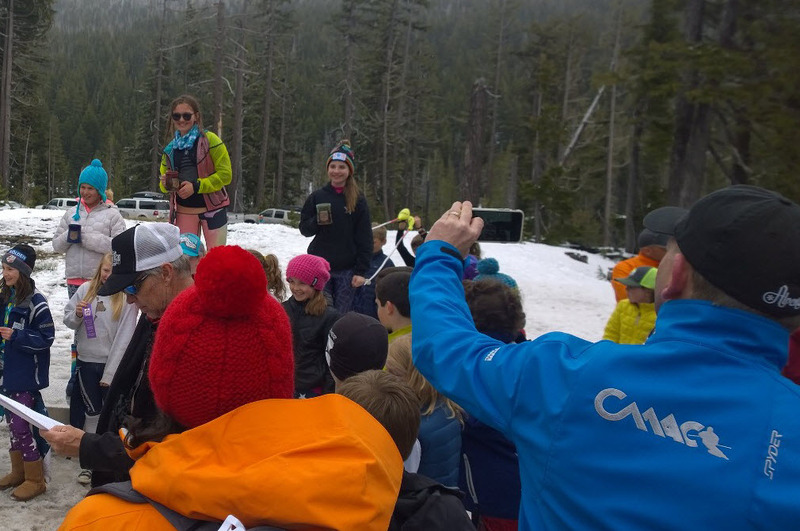 Among the highlights from May Day were the results of the May Day GS race where Ruby Stamnes got first place both days and Chloe Vlases got 10th in the second race.